Chat to visitors and customers on your store, show them their order status in Messenger home, and more. With the Shopify app, you can provide personal, real-time support to visitors and customers on your store. Chat with visitors to your store in real-time, capture them as leads, and convert them to customers. Show customers their latest order status in your Messenger home, so they can check their order without needing to start a conversation. Let visitors search their orders straight from Messenger home. See your customers’ order history beside each conversation to resolve issues faster (with our Inbox product). Send targeted messages to encourage customers who purchased from your store to return (with our Messages product). Note: You’ll need Inbox product to use the Shopify app. We’ll sync your Shopify customer data with Intercom and track your users' actions in the store as events in Intercom, so you can send them targeted messages based on their actions. 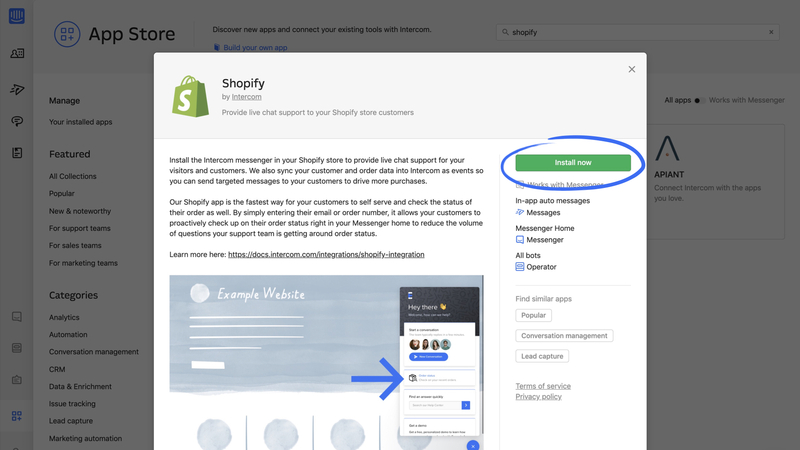 First, select the Shopify app on the Intercom app store. Automatically show logged-in users their latest order status in your Messenger home. Let logged-out visitors search their orders right from your Messenger home. 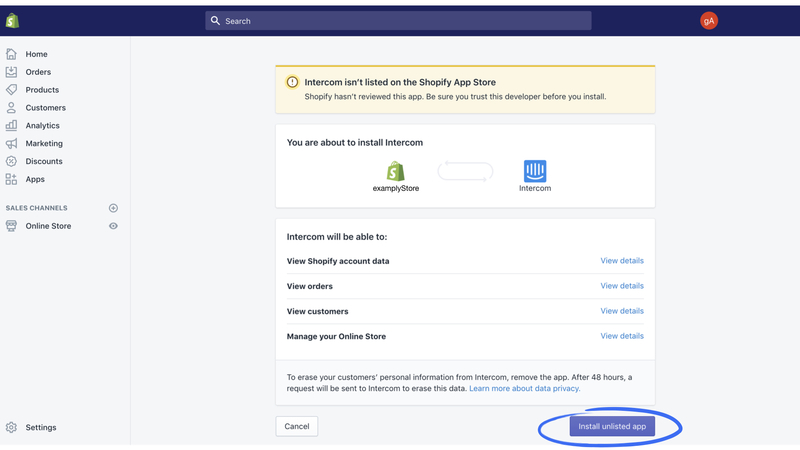 Note: Once you’ve connected your Shopify store to Intercom, the Shopify Messenger app will automatically be installed in the app store. Note: You can show the Shopify app to visitors, users or both. The Shopify app will show your customers their orders for the previous 60 days. Once you save and set it live, customers can start checking their latest orders in your Messenger home. 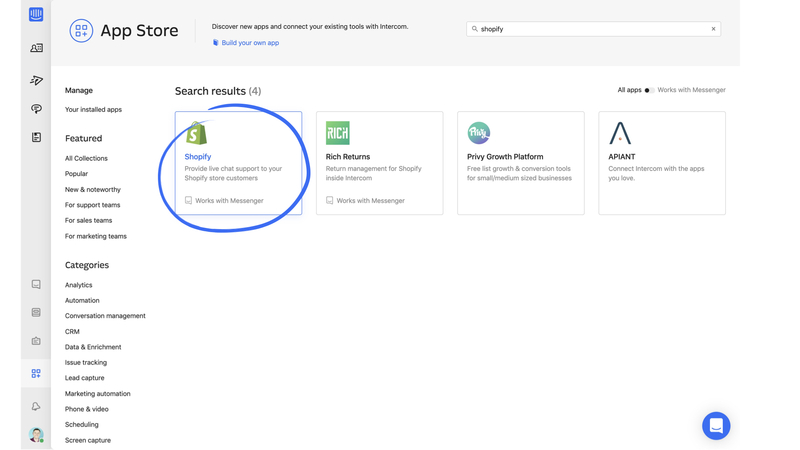 Shopify automatically updates your customer data in Intercom. Changes made in Intercom will never modify your data in Shopify. 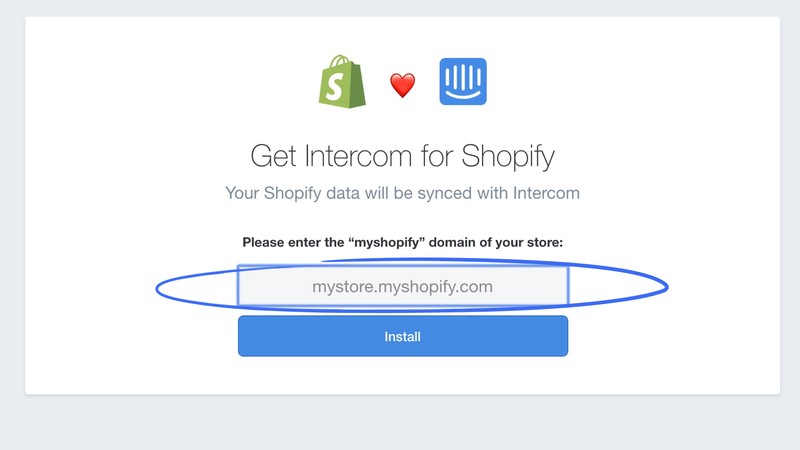 Important: The Shopify/Intercom integration does not support metadata. Checkout in Shopify results in “checkout-start”, “checkout-customer-infos-step”, “checkout-shipment-step” and “checkout-payment-step” events. Creating and updating an order in Shopify results in “order-create”, “order-paid”, “order-cancelled”, “order-partially-fulfilled” and “order-fulfilled” events in Intercom. 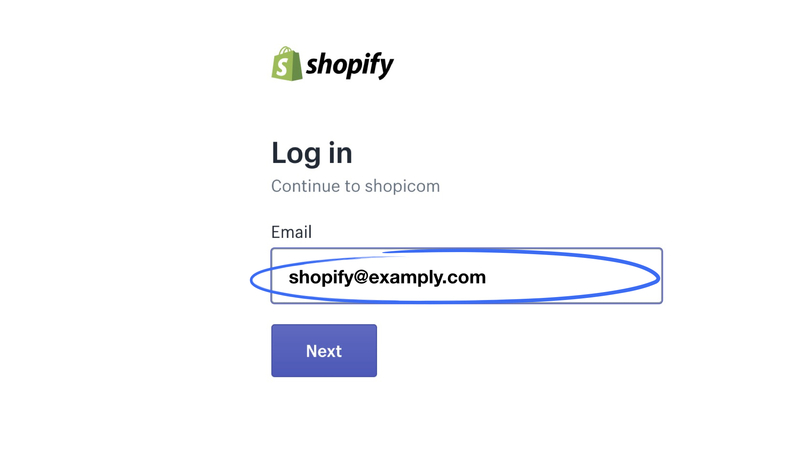 Important: We automatically import your users from Shopify to intercom when you authenticate with Intercom. 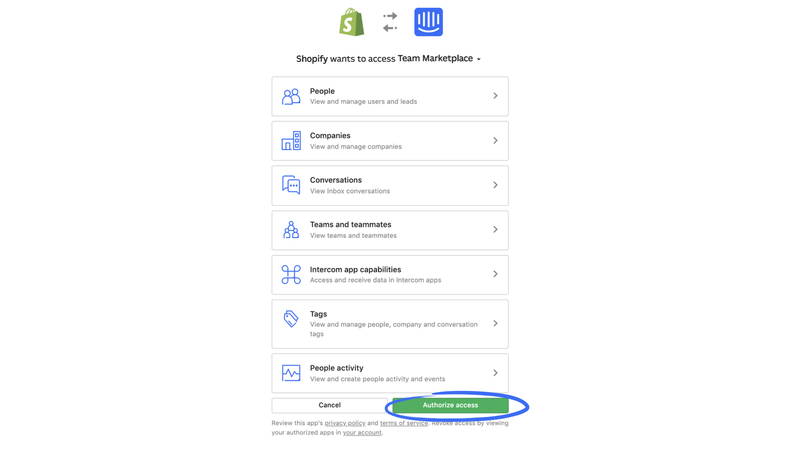 If you remove the Shopify app from Intercom, it won’t affect your Intercom subscription. If you’d like to cancel your subscription to Intercom, you can manually do so in your Intercom settings. Don’t worry if you can’t see the Intercom Messenger on your checkout page. The checkout process happens on a different domain so we can’t insert the Messenger here. It will appear on every other page of your store. We’ll still track your visitors’ and customers’ behaviour, such as the checkout events listed above.